This is my third look at a numbered 1971 Bazooka Yaz card--first discussed here and followed up here--but this time it's a real one. Probably real. I mean, its eBay lot includes a bunch of other numbered cards and that's about the best you can do when collecting rare test sets unless it came directly from the Topps archives. 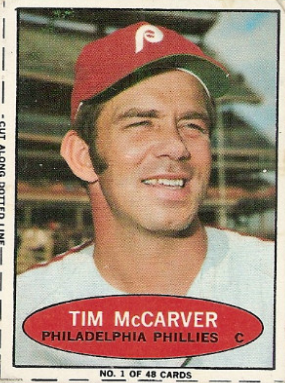 Finding a buyable version of a type card that's eluded me for years (and required the return of a fake) made me feel like Tim McCarver. 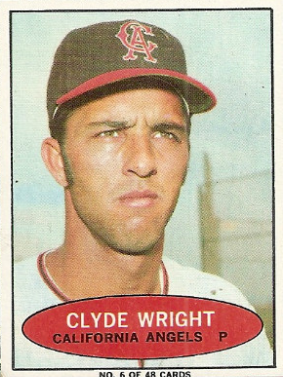 Then I saw the $1500 asking price (technically it's $1499.99) and felt like Clyde Wright. UPDATE: The seller relisted for $1399! Who knows where this pricing adventure will end. Value: Rare test set or no rare test set, $1500 is too rich for my blood. $50 for Yaz alone and we can talk. 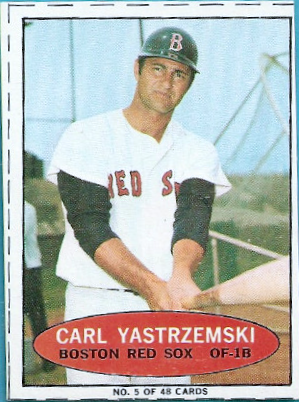 Fakes / reprints: My earlier 1971 Bazooka post illustrated problems you'll find with faked versions of this rare set.